Last week I received some really exciting news… I was nominated for a Liebster award!!! This is my first ever award as a blogger and I’m super excited because it means that you guys are actually enjoying my content, which is a huge deal to me. 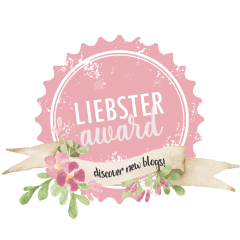 The Liebster award is an award given to ‘new-ish’ bloggers by other bloggers to recognize them and welcome them to the blogging community. In essence, it’s like a blogger chain of awards where we get to spread our love and appreciation! I was nominated for this award by Americanized Isa, she’s an expat Au Pair living in New Jersey and her story is quite remarkable. Her blog posts are filled with positivity and useful tips for any traveler or expat. Go give her blog a look! As part of the Liebster award, the nominee must answer 11 random questions given by the person that nominated them. Here are the questions Isa gave me, and my answers to them. What’s the most beautiful place you’ve ever seen and why do you like it so much? It’s really hard to choose, but I think I’d have to say Iceland. I visited Iceland a couple of weeks ago and I was in awe. The endless hills of snow, and just the fact that all of Iceland’s beauty and features are natural had me hooked. It’s also just a very peaceful and cute place to visit, I would totally recommend it. What’s your favourite sport? I would definitely have to say running. You name it, Cross country running, or even running long distance for fun, I love it either way. If you follow my Instagram (@Little.Miss. Expat) you’ll know that I talk about running a lot (I’m kind of obsessed). I mean yes, it’s hard and sometimes you just don’t feel like doing it, but in the end, it’s totally worth it. If someone gave you 1 million dollars, what would you do? I know this sounds so cliché, but I would use it to help others. I definitely don’t need 1 million dollars for myself, and there are others that desperately need it. I would use the money to physically go out to a place in need and help them, whether it’s with education and building schools, or helping hospitals buy supplies, I know that it would have something to do with helping people. How much time do you spend blogging each week? Good question Isa! Well, it really depends on what my post of the week is. For those of you who don’t know I post on my blog every weekend, and I try and post on my Instagram every day. My Instagram posts take about 15 minutes to plan, write captions and hashtags, and edit photos each day. And my blog posts take me about an hour to write, but it really does vary. If it’s a very picture heavy post it will take me a lot longer to shoot pictures and edit them. But, I can say blogging is very time-consuming. I love it, but it takes time, I think I spend around 4 hours each week solely working on my blog. Are you a cat or a dog person? Definitely a dog person, not that I don’t like cats, but I would love to have a dog to cuddle with and to run with! What’s your favourite movie of all time? I would have to say, Mama Mia! I don’t know why, but every time I watch this movie it puts me in such a good mood, I know all the songs off-by-heart and sing along to them with my friends. If you could meet one famous person who would it be and why? I think it would be Tata Harper, she’s a women entrepreneur and I respect her a lot. I use all her beauty products as I’m a huge believer in natural beauty. I think the reason I would love to meet her is that she’s such a role model in my life, and even though it’s cheesy, I do want to be like her when I’m older. What do you think your life will look like after you retire? Ohh, I haven’t even started to think about that yet. It would probably include lots of reading, and traveling if I can handle it, and definitely, lots of time spent with my family. What do you think when you see a spider? It’s funny because I don’t actually scream out loud, I kind of do a scared jump and quickly yell for one of my sisters or my mum to come quick and help me take it outside. What’s your next big thing? Well… I’ve been dreaming of doing my own Ted Talk later in 2018 where I can talk about being an expat, my blog, and just share my whole story with others. But, there are lots of things I have to take into account before I do this, one being I first have to audition to be part of the Ted event! But I have my heart set on it and I’m so excited! You can display this award in the sidebar of your blog and on social media. Respond to the 11 questions you were assigned to in a blog post. Nominate around 5-11 blogs that you want to pass the award onto. Create your 11 random questions. Let your nominees know, and provide them with a link to your blog post. The Maple Brit – Well how could I nominate blogs, and not mention Kates blog?! As a British expat living in Canada, she shares a lot of advice with us about moving, as well as her expert travel guides. I personally love reading her blog, because you know us expats have to support each other! And she’s just super sweet, always letting me know if she likes my posts, and replying to my comments on hers. Good Job Kate! Jessica Rose Blogs – I would have to mention this blog because I just love her ‘blogmas’ series, lots of ‘Christmassy’ posts it’s so cute! Check out her blog for general lifestyle tips as well as her festive specials. Well done! The Expatic Life – Ashley’s blog is full of expat tips and travels! She’s American but currently living in Abu Dhabi, well done Ashley! Teen Runner Blog – Ellens blog has been one of my favourites even before I started my own blog. I love reading about her running and what she does to fuel, hydrate, and train. She has A LOT of useful posts, and even has her own running community that you can join! Well done Ellen! The Expater – Nina’s blog is full of resources and tips for any traveler or expat. She has expat essentials, personal stories, and even local guides for anyplace you might be traveling to. Well done Nina! What’s your idea of a ‘perfect day’? If you could work with one brand, which one would it be? What’s something interesting that people might not know about you? Do you remember who your first follower on either your Instagram or blog was? What is your favourite post you’ve ever published? Are you working on anything special for your blog? Thank you so much for reading this VERY long post! I’m so happy that each of you is here to experience this with me, and I want to say thank you for being such great followers and readers, you mean the world to me! Well done to the nominees and have fun with the award! This entry was posted in Awards and tagged award, bloggeraward, Liebster, LiebsterAward. Bookmark the permalink.